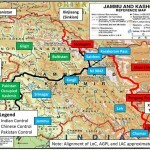 Of particular concern for India are Lashkar-e-Tayebba’s, also spelt as Lashkar-e-Toiba, (LeT) plans to use the sea-route to infiltrate and attack India’s oil assets in Bombay High, sabotage ports and target high value assets such as the atomic power plants located on the coast or attack INS Vikrant, India’s only aircraft carrier while it is ensconced in dry dock facilities at the Cochin Naval Base. 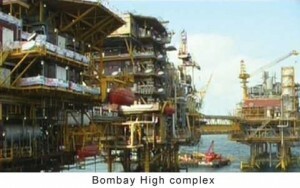 Bombay High, 160 Kilometers off Mumbai produces a third of the country’s oil. But what is the real security presence around these oil rigs? 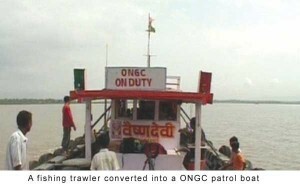 An on the spot check two years ago by the author had revealed that re-labeled fishing boats were hired by ONGC to keep trawlers 500 meters away from the platforms (See Photograph). 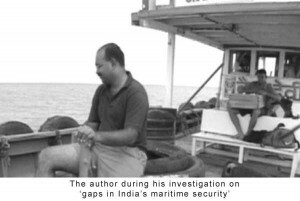 More than a year before the Mumbai 26/11 terror attack in which the terrorists came in through the sea route from Karachi, Indian intelligence agencies had warned the government on a new emerging threat-Maritime Terrorism. “…The intelligence agencies have warned about the possibility of terrorists trying to infiltrate through the sea route or trying to target our offshore installations. There are reports about terrorists of various tanzeems being imparted training and likelihood of their infiltration through sea routes. India’s coastal waters are guarded by the Indian Coast Guard in coordination with the State Police and the Navy. The Coast Guard has plans to augment its strength, infrastructure and other assets to further improve its effectiveness all along the coastal areas including Kerala. Yet, one and half years later Mumbai was attacked. Therefore, the question that needs an honest introspection is – are all these agencies along with the Coast Guard and the Navy, in the short and long term, prepared, equipped and trained in maritime counter-terror operations to thwart, prevent and deter another terror attack either on the high seas or a Mumbai 26/11 on any other location? The Coast Guard is still woefully short of fast patrol boats to prevent a suicide squad of terrorists who could commandeer a fishing boat, load it with explosives and ram into the oil rigs. Such a maritime fidayeen attack will have a devastating effect. That’s why the Navy and Coast Guard want faster patrol boats that can do this job of securing the oil rigs more effectively. “The boats that we have to assist ONGC are slow and these are an interim arrangement until we get fast boats,” says Rear Admiral, Mahendra P Taneja, Former Flag Officer Defence Advisory Group. But the Coast Guard and Navy’s request for faster interceptor boats, which can clock speeds upto 40 knots has still not been met. As a result until those fast boats arrive, India’s crucial economic asset, the Bombay High, worth several thousand crores continues to be vulnerable to Pakistani Inter Services Intelligence (ISI) covert terrorism strikes outsourced to LeT’s maritime terror trained operatives. For nearly two years now Indian intelligence agencies were worried that Pakistan’s ISI could misuse hundreds of Indian fishing boats seized over the years by the Pakistani Navy and Coast Guard for allegedly straying into Pakistani territorial waters. 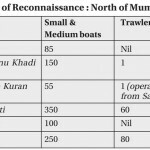 In fact, the thinking within the national security establishment was that these fishing boats could be used by Pakistan based terrorists to infiltrate into Indian waters. In fact, the National Fishworkers Forum (NFF) and various other organizations representing the Indian fishermen have constantly been alerting the governments of the coastal states and the central government of the need to engage them in effective policing of coastal waters. Maritime terrorism, gun-running, drug trafficking and piracy are major threats that India is facing from the sea borders of the country. “It is quite easy for a fishing trawler or any other similar boat to fly an Indian flag to enter Indian territorial waters. I am saying this because we are out on the seas for months together and often we hardly encounter either the Coast Guard or Navy. Our territorial waters can be easily penetrated,” says Rajendra Shantaram Meher, Chairman, Satpati Fishing Society. Satpati is around three hours drive from Mumbai. The Coast Guard says that it will need much greater force and a larger fleet to keep Indian waters safe. 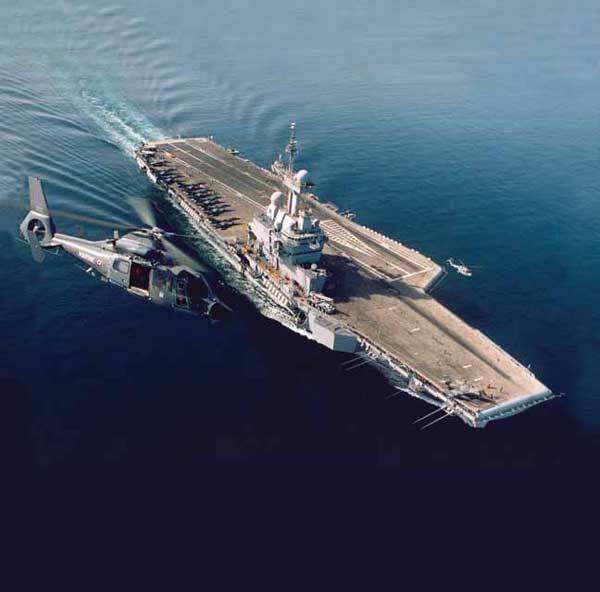 Several months ago A Rajshekhar, the then IG (West) Coast Guard was quoted in the media that the coastal force would “need more aircraft and ships and we hope the government will give us these. And you have to still appreciate we cannot be in all the places at all the time.” The fact is that India’s coastal regions remain porous and vulnerable to terrorist incursions. Securing long coastline is a serious challenge for India. In 2007 the Government sanctioned Rs 500 crores to implement a four-year plan to strengthen the coastal security infrastructure and prevent acts of terrorism in India’s territorial waters. Strangely, while Mumbai 26/11 apparently woke the country out of slumber, security analysts have been warning about some disturbing scenarios of what terrorism in the seas could be like. In fact, the national security establishment is aware that if effective maritime counter terror measures are not put in place immediately it is quite possible for such scenarios to come true. Like, for instance, a 100,000-ton oil tanker blows up in the Arabian Sea close to the Indian coast or a LPG tanker docked in an Indian harbour is blown up causing enormous economic loss and a high death and injury count. And now the rampant piracy off the coast of Somalia has forcefully reminded security and strategic experts that terror operations could well be outsourced to sea pirates as well. A hijacked merchant vessel carrying several thousand tons of the inflammable fertilizer ingredient ammonium nitrate could easily be turned into a mega bomb after entering an Indian harbour. Could piracy on high seas morph into this new face of terrorism? With well armed Somali pirates wreaking havoc on shipping lanes from the Indian Ocean to the Gulf of Aden between Somalia and Yemen, Al Qaeda and its associate terror groups could easily outsource maritime terrorism to mercenary pirate groups. From seizing cargo ships to supertankers ferrying millions of dollars of crude oil, the Somali pirates attacked and hijacked 90 vessels in 2008 for ransom and looting cargo from wheat to chemicals. In the process they have made millions of dollars reselling these items and have now become a major security risk for Indian and international shipping industry, trade and economy. So could sea piracy be converted into a terror operation? Security experts suggest that terror groups could easily rope in pirates who have good knowledge of shipping routes, have access to satellite phones and communication links with ports in the region which enable them to access accurate satellite communication about cargo shipping lines. Way back on August 1, 2007 the London based International Maritime Bureau (IMB) had opened a 24 hour communication hot line where callers could anonymously relay information on sea piracy, crime and terrorism. So strategic thinking on maritime terrorists pro-actively linking up with sea pirates opened up a year and half ago. IMB, a global maritime watchdog agency, set up the piracy center in Kuala Lumpur. The IMB has warned that piracy could be on the rise and, therefore, the threat of maritime terrorism in the Indian Ocean cannot be taken lightly. “It is a good concept. Shipyard workers or ship crew may know something but most are reluctant to report to the police or to the ship owner because they are afraid of being detained or of losing their job,” said the centre’s chief, Noel Choong, during its inauguration. “Now we are giving them an option to report to us. It will be a big boost to fighting crime and terrorism at sea,” he said. The IMB will assess the reliability of the information before passing it to law enforcement agencies in the countries concerned, who will have to verify if the threat is real, he said. Seafarers, port workers, shipping agents, shipyards, brokers and stevedores across the world can now call this hot line telephone number +603-20310014 or fax the critical information to +603-20785769 or email it to imbsecurity@icc-ccs.org. The IMB has warned that piracy could be on the rise and, therefore, the threat of maritime terrorism in the Indian Ocean cannot be taken lightly. In fact, maritime terrorism in the Malacca Strait which carries half the world’s oil trade and a third of global commerce is now seen as a realistic scenario. Some 200 ships use the straits every day to travel from Europe and the Middle East to Asia. Pirate attacks in the waterway have declined in the past three years after Malaysia, Indonesia and Singapore introduced coordinated security patrols, but concerns still linger that militants could hijack a ship carrying hazardous material and use it as a floating bomb. India is inadequately prepared to tackle maritime terrorism. On December 20, 2008, weeks after the Mumbai 26/11 attack, the Union Home Secretary, Madhukar Gupta chaired a high-level meeting in New Delhi last Thursday to discuss various issues relating to the security of ports. In 2009 India will take the first steps in establishing a security architecture that aims to secure the water area related to ports and the ports from maritime terror attacks. A mechanism to coordinate the functioning of the state police, Customs and Coast Guard-the agencies that patrol in the water area related to ports-will also be set up. Several decisions taken at that meeting will be implemented this year like providing two interceptor boats to every port and detailed examination of the irregular and unregulated movement of boats including fishing boats. Central Industrial Security Force, personnel will also be deployed inside the ports. A standard operating protocol/procedure for initiation and deployment of anti-terror commando units in the eventuality of a terror attack and their interaction with other security agencies is also being generated. But, as is self evident, a lot more needs to be done, including a comprehensive security audit of the most vulnerable ports to begin with and in a phased manner all ports, fishing harbours, jetties and landing points, must be necessarily carried out by a joint task force which has expert representatives from various agencies. Also several ports in India categorized as minor ports fall under the State Government’s control and these ports could be more vulnerable to maritime terrorism. In the meantime basic security drill like access control, surveillance systems, I-cards for employees and so on should be immediately implemented in all ports in India. The daring piracy operations of non-state actors in the Gulf of Aden and the Mumbai 26/11 terror attack have made these scenarios come alive within the realm of possibility. “¦several ports in India categorized as minor ports fall under the State Governments control and these ports could be more vulnerable to maritime terrorism. These scenarios are potential illustrations of terror’s new watery frontier. With the bombing of USS Cole off Yemen in 2000 and a similar attack on the French oil tanker Limburg two years later, the sea is indeed the new playground of Al Qaeda’s 21st Century terrorism. Is India prepared to combat and counter maritime terror? The mismatch between the security challenge and the resources available to tackle it is daunting. 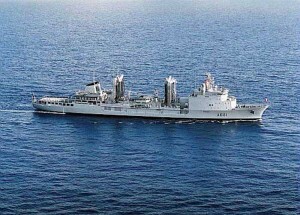 The Indian Coast Guard has a fleet of 76 vessels, 24 fixed wing aircraft and 18 helicopters to police a 7,600km coastline and a 2.02 million square km Exclusive Economic Zone (EEZ). In addition to this inadequacy, most of the 140 ships of the Indian Navy cannot operate in shallow waters where terrorists operate, a security nightmare best illustrated along the east coast especially along Tamil Nadu where there are nearly 400 landing points along a roughly 1000-km coastline. Intelligence agencies have inputs which indicate that terror groups are getting more ambitious with their maritime agenda. With the Liberation Tigers of Tamil Eelam (LTTE) in complete disarray as a result of Sri Lankan Army’s sustained onslaught and the recapture of LTTE’s administrative headquarters, Kilinochi, the Tamil Nadu coast has now become ultra-sensitive. Last year there were several seizures along the Tamil Nadu coast of contraband consignments meant for the LTTE. Four LTTE cadres and an Indian supporter along with ammunition including a suicide body belt and AK 56 rifles were recovered from a Sea Tigers’ boat which was apprehended by the Coast Guard while it was sailing in Indian waters. The boat lined with explosives was destroyed by the police. Commenting on this development, security and strategic expert and former Additional Secretary R&AW, B Raman, had stated that the “LTTE has been reviving it’s arms movement from India which they had discontinued after Rajiv Gandhi’s assassination.” Now with the war in northern Sri Lanka decisively tilted in favour of the Sri Lankan Army, and with the LTTE finding it extremely difficult to hold on to its Sea Tigers base in Mullaitivu, analysts believe that the Tamil Nadu coast might once again be used as a supply base. Over 6 tonnes of Alumunium based metals, used for making IEDs. The Tamil Nadu Police arrested three Indians and seized two tonnes of Aluminium powder from a Madurai factory. Four Sri Lankan Tamils and three Indians were arrested with of ball bearings that are used as shrapnel in bombs. Live rockets were recovered from the sea bed near Rameswaram. These seizures last year were humble reminders of the fact that despite a strong counter intelligence network in Tamil Nadu, intelligence agencies perhaps were caught napping because the LTTE had managed to set up new supply routes and pick-up points on Indian soil. The then Director General of Police, D Mukherjee, admitted that “there are constraints of manpower. We do our best. Whatever intelligence we get we act on it. But certain things still go on.” With the 56 and 57 Divisions of the Sri Lankan Army now battling to recapture the stretch between Kilinochi and Mulaitivu on the eastern coast of Sri Lanka, there is a threat perception of the LTTE sending its cadres as refugees to India. The issue with terrorism is, that it is increasingly pan-nation, and carried out by parties that are also seen as suspect by their own nations, religious affiliation etc.. It might be, that Pakistan says that the Lashkar is a legitimate party, to other nations, because they want the Lashkar and it’s views to be relevant to India, and perhaps within Pakistani Punjab also, because they seem to be wanting a relevant outlook. In Pakistan, there were many bomb blasts reported in the Punjab, and if the Lashkar is a registered organization, and seen to be not an affiliation to govt., but registered as some organization, perhaps a charitable organization, then the govt. will have no reason to suspect the organization, and nor will the organization see any relevant reason to the situation. The U. S. saw a similar situation in Pakistan. In a relevant scenario, every bomb blast in India has a certain reason, but in Pakistan, no bomb blast, in the time when there were about 4 blasts happening every week, was seen to be reported as Indian govt. caused. 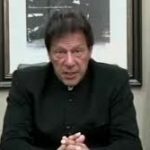 The Indian press was reporting that the U. S. was aiding Gen. Musharraf, with infusions of Dollar funds, then, and the truth is that it was seen that the Pakistani Gen. was doing the best he could, from preventing Pakistan from collapsing. It seems, that internal security is the need of the minute, then.